Paper Crafts by Candace: Jaded Blossom October Challenge: Halloween! Happy Sunday! It's time for the new Jaded Blossom monthly challenge! This months theme is HALLOWEEN! 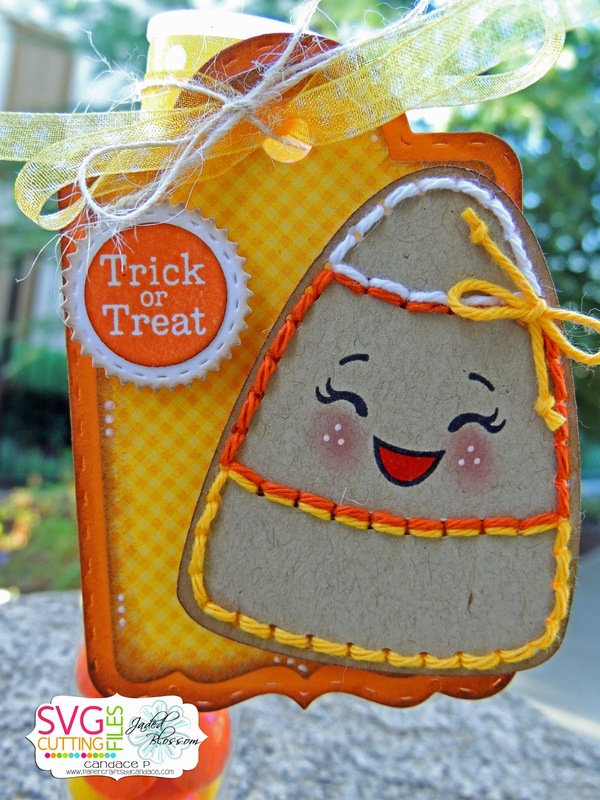 This CUTE new candy corn stitch up is NEW from SVG Cutting Files. Here is a close up of the cutie! I also used a peachy keen face stamp. And here is a side view of the tube. 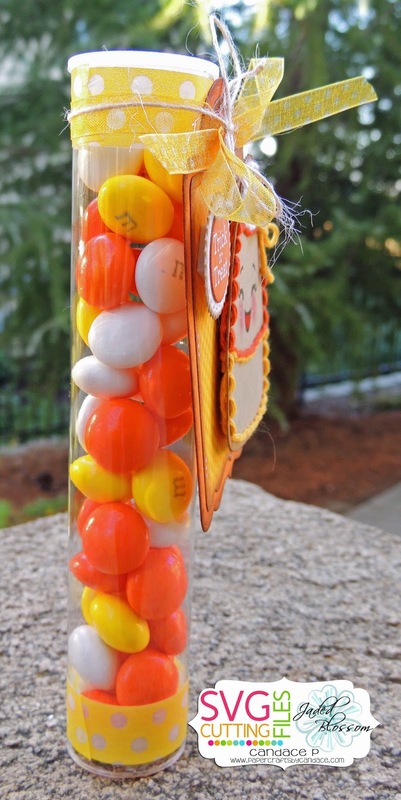 I used the Candy Corn M&Ms to fill it. I love the stitch up candy corn! Super cute! So cute!! Love the stitch up & that face is just perfect! This is so stinkin cute! 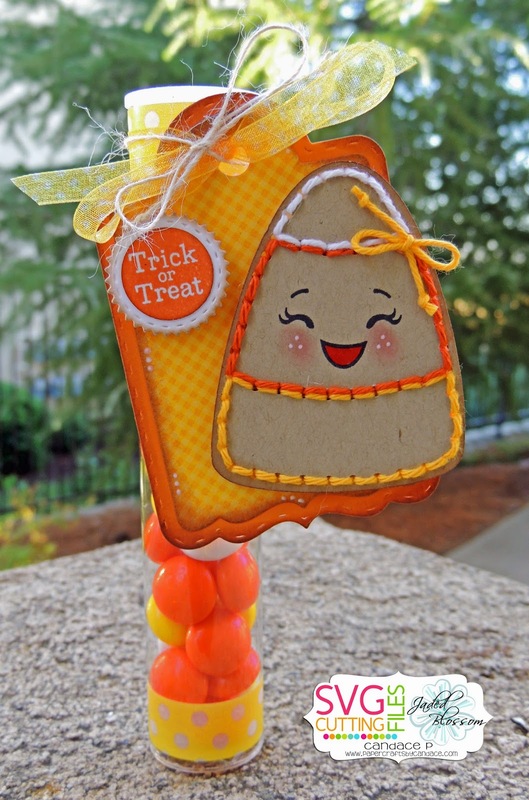 That face is too cute on the candy corn and I LOVE the stitch up!